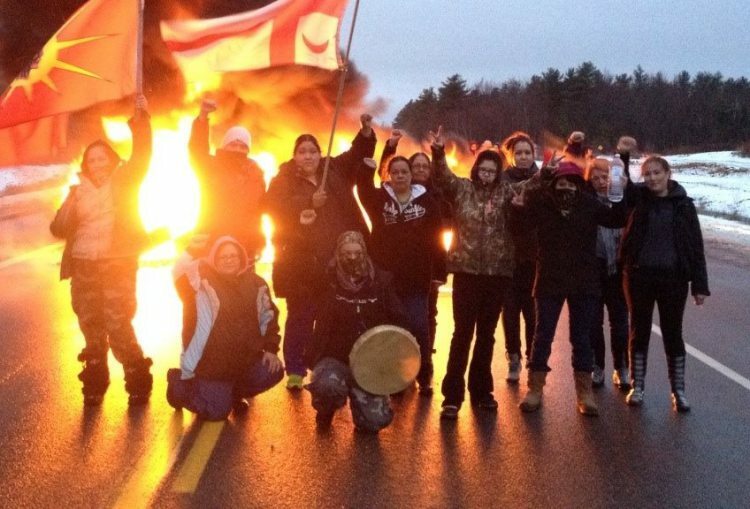 After three women were injured by an SWN vehicle on Monday Dec 2, and 11 people arrested by the RCMP, Mi’kmaq warriors established several burning tire blockades on Highway 11. The fires burned into the night and served to delay SWN vehicles from proceeding with their exploratory testing. Because it has been an effective tactic, another burning tire blockade has been established today.